Your customers love the candies you serve them. To keep these candies fresh and clean, deliver them in the candy boxes in air tight boxes and watch your customers adore you even more! 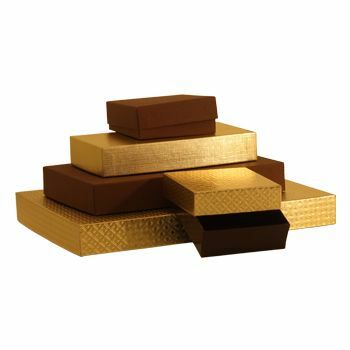 10.5 X 8.12 X 1.12"
3.5 X 3.25 X 1.12"
6.5 X 3.5 X 1.12"
8.12 X 5.25 X 1.12"
These Candy Boxes With Clear boxes allow you to present your goods and tempt customers while keeping the candies safe. These boxes have a tray in them to hold the candies in place, which allows them to reach the consumer unscathed. 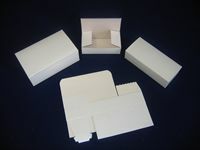 The rigid base provides a lot of structural integrity to the Candy Boxes With Clear boxes and allows your products to stay safe during transport. 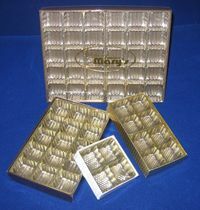 Candy Boxes are available in many different colors and sizes.